Intel Quick Sync Video is the Intel dedicated video encoding and decoding hardware core. It uses the media processing capabilities of Intel® Graphics Technology to make video creating and converting faster and easier. Intel puts the graphics processor circuitry quickly encode and decode digital video rather than relying on the computers processor. Intel Quick Sync Video Tech can easily make the media processing. It is very beneficial if you want to create and edit 3D videos, DVDs or Blu-ray discs, change 2D to 3D, convert 4K videos or upload shorts to video-sharing site for sharing. Quick Sync refers to the use case of transcoding a video form. Like other hardware accelerated video encoding technologies, it can give lower quality results than with CPU only encoders. Speed is prioritized over quality. Tested by our programmers, the converting speed of the software with Intel Quick Sync Video technology is 2.5X faster than the original software. The graphic below shows all data in details. For computers which are equipped with Intel® processors supporting Intel® Quick Sync Video technology and with additional NVIDIA or AMD PCI-E graphics card installed, this tutorial shows you how to setup Intel® Quick Sync Video on desktop PC without connecting a monitor to Intel HD graphics card. Check your computer BIOS User Manual or instructions to see how to enable Intel integrated graphics (iGPU). Enable Intel graphics and save BIOS changes. 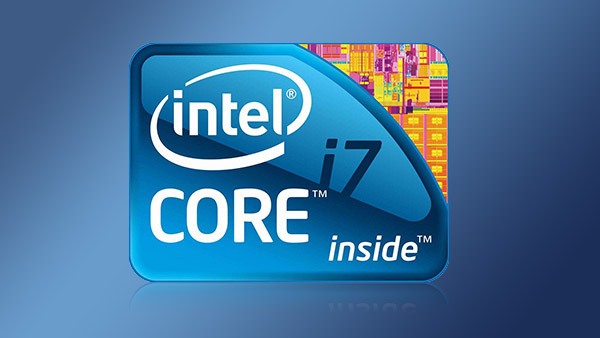 Install the latest Intel graphics drivers available for your Intel HD graphics card model. Right-click on the empty space to check menu and select "Screen Resolution". Click "Detect" button to detect inactive video outputs. Select detected display output for Intel® HD Graphics and choose "Try to connect anyway on VGA" from "Multiple displays" drop-down list. Click "Apply" button to confirm the settings. Choose your main display and select "Extend these displays" from "Multiple displays" drop-down list. Then click "Apply" to save the changes. Click "OK" button to close "Screen Resolution" settings. Restart our program and you can apply the Intel acceleration.